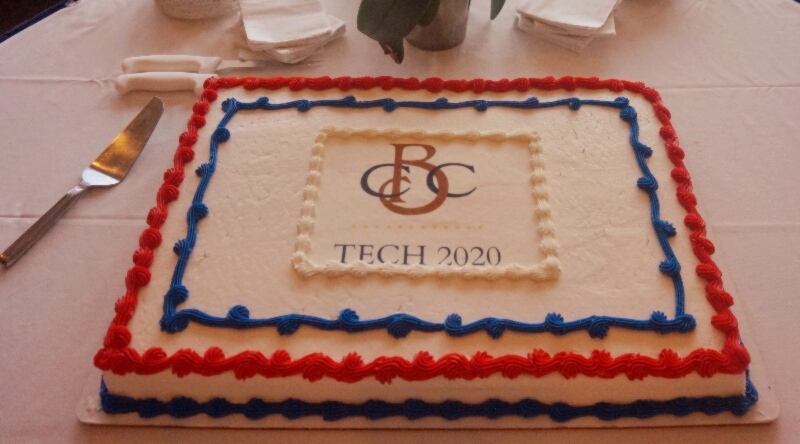 WASHINGTON, D.C. – On Tuesday, May 19 2015, DotConnectAfrica Trust joined, the Congressional Black Caucus (CBC) at the launch of CBC TECH 2020, a new initiative aimed at engaging the tech sector in increasing African-American representation and inclusion in the industry. The event was held at Madison Building, Library of Congress, 101 Independence Avenue Washington, DC 20540. 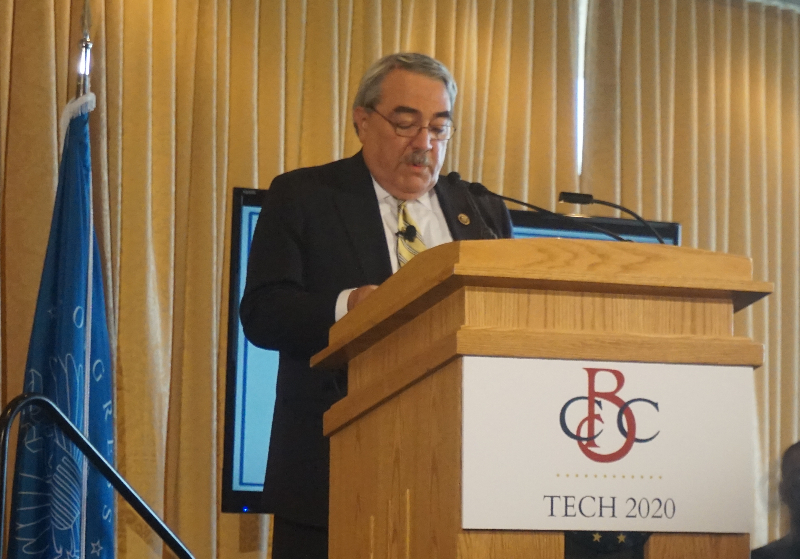 The CBC Diversity Task Force Members include Rep. G. K. Butterfield (NC), CBC Chairman, Rep. Barbara Lee (CA), Co-Chair, Diversity Taskforce, Rep. Maxine Waters (CA), Rep. Sanford D. Bishop, Jr. (GA), Rep. Eddie Bernice Johnson (TX), Rep. Emanuel Cleaver, II (MO) and Rep. Hakeem Jeffries (NY). CBC members encouraged the industry to utilize the same entrepreneurial spirit they use when creating new technologies to become innovators in diversifying tech. 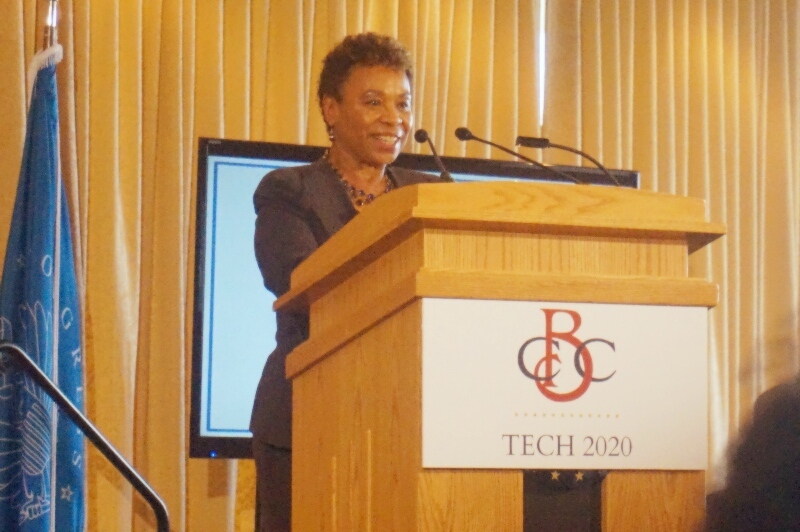 Congresswomen Barbara Lee, also co-chair of the CBC Diversity Task Force, who joined in launching the TECH2020 initiative an spoke”. Technology has revolutionized our lives and continues to be a driving force in our economy. African-Americans must be included in every aspect of this technological revolution – not just as end users or as market share”. Congresswomen Lee added: “I have the honor of representing the Easy Bay, a hot bed for innovation of tech firms, in Congress and I am very familiar with these firms. The numbers tell the story: inclusion of African-Americans in the tech workforce has been treated as an afterthought for far too long”. During the launch event, CBC members outlined diversity principles while discussing industry best practices, highlighting African-American students and entrepreneurs, and present legislation focused on increasing Science, Technology, Engineering and Mathematics (STEM) education. Over the next five years, about 1.4 million new tech industry jobs are expected to be created, according to estimates from the Level Playing Field Institute. “Educating the next generation of innovators must be a national priority. Congress in particular is integral to this effort, so we call on our colleagues to join us in addressing this critical issue, particularly as it relates to building and strengthening the STEM pipeline, and fighting against cuts to STEM education in the No Child Left Behind Act,“ said Rep. G. K. Butterfield, D-N.C., the Congressional Black Caucus chairman and task force member. DotConnectAfrica Trust, a great supporter of the STEM education, also recently announced a 5000 USD Seed Fund in Africa that will avail grants to support women and girls in the STEM fields to launch or expand their own initiatives that will increase their digital opportunities in IT related training, jobs and leadership roles. “We are passionate about the future of our Miss.Africa Initiative as well as generation.africa, because there is a great future in technology especially in Africa. STEM remains an integral part of catalyzing a digitally empowered Africa”. 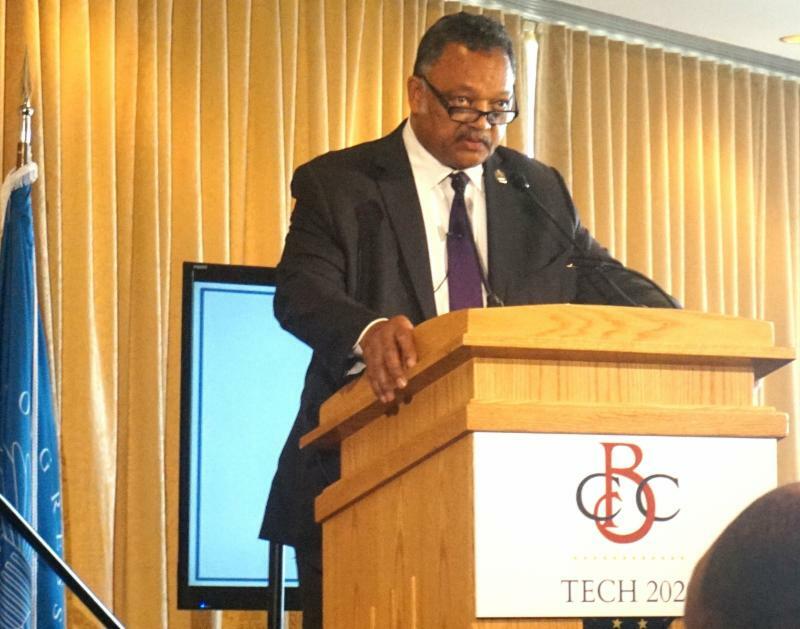 The closing remarks were made by the special guest, Reverend Jesse L. Jackson, Founder & President, Rainbow/Push Coalition, who was one praised by members of the task-force of his push his for this initiative. Ms. Bekele later held meetings with Congressional Members and Congressional Aides of the Communication and Technology Sub-Committee (Energy & Commerce Committee) throughout the week. She was following up DCA Trust’s continuing engagement with the US Congress on matters related to the IANA Transition and the mechanisms that are needed to create an effective, transparent and more accountable ICANN. Pursuant to the issues of ICANN’s accountability improvements, Ms. Bekele also provided a general activity update on the .africa new gTLD that is currently undergoing an Independent Review Panel (IRP) process at the International Center for Dispute Resolution of the American Arbitration Association.